Re-Shaping My Life with So-Shape! 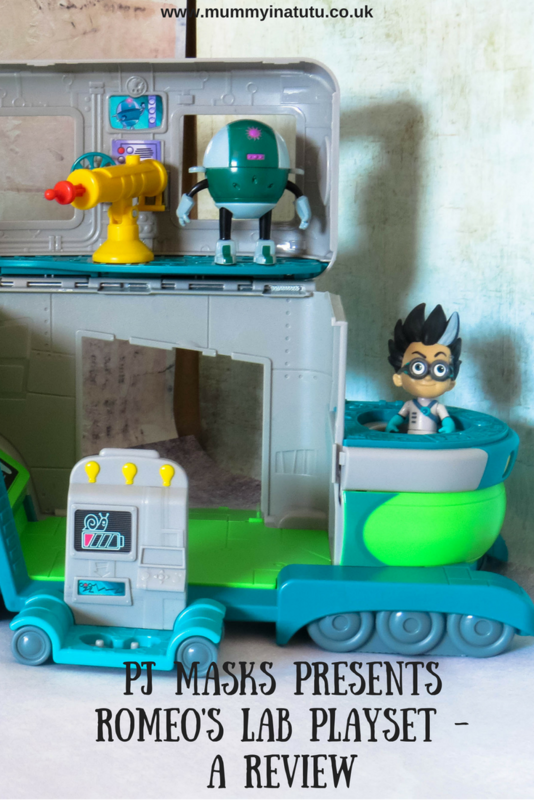 Romeo’s Lab Playset comes complete with a control panel which when pressed play sound effects of Romeo talking about the “Pesky PJ Masks” as well as a spinning drivers seat, working crane and firing weapon too! Obviously the highlight for Alyssa was the figurine of Romeo and the one of the robot too! There are many different options for setting up this playset – you can have the truck completely closed up and simply as it is, a truck with a crane on the back. Or you can open one side so there is a ramp to the inside or completely open one whole side and lift the roof up too to create Romeo’s full open lab. 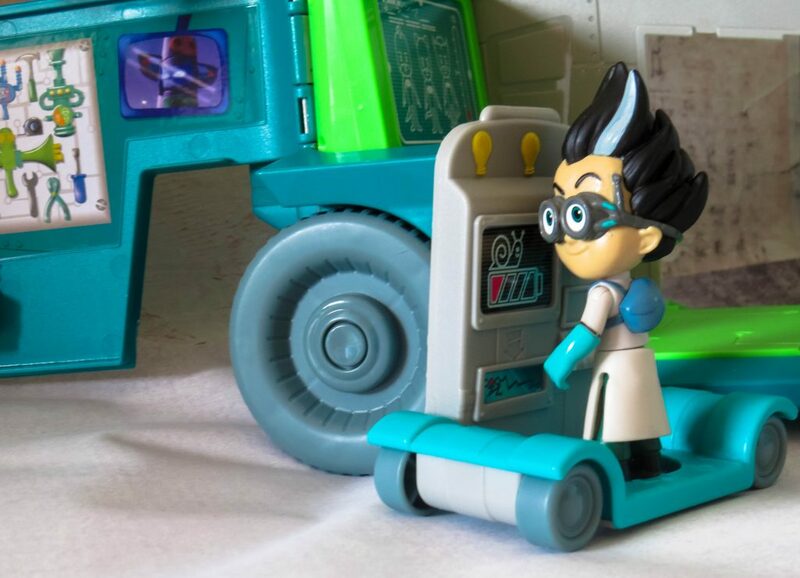 As I said the crane does in fact work, just by squeezing the little lever underneath (please note the cat boy figurine and car do not come with this product – we already had these!!) 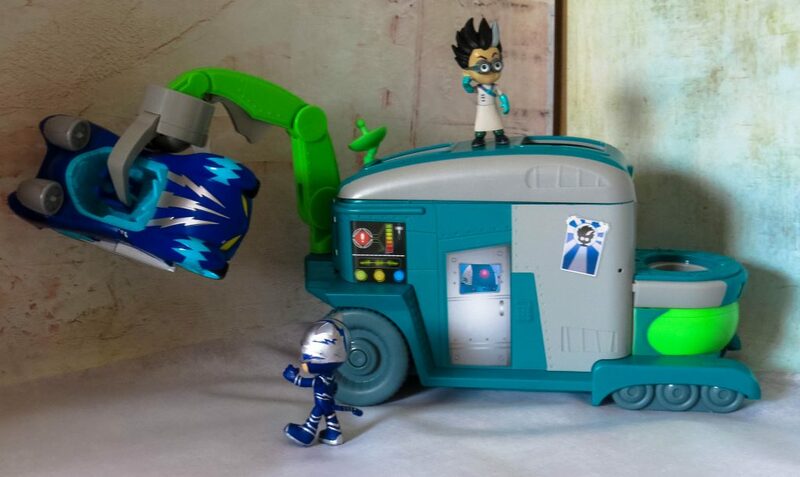 There is also Romeo’s lab chair which he can stand on and wheels around as well as a few little gizmos that Romeo uses to create havoc in the lives of the PJ Masks. 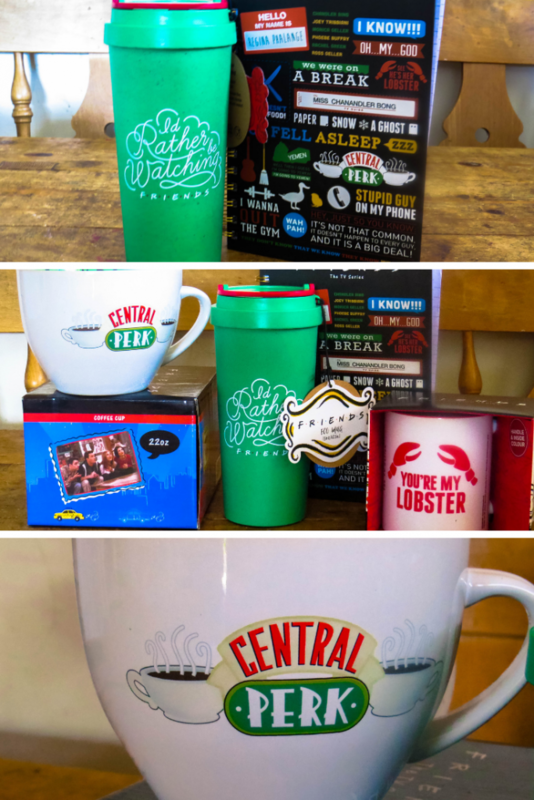 Overall we were so impressed with this set – it was so engaging and had so many parts to it to keep Alyssa entertained for ages. I believe her exact words were “I Luff It!” She gave it her full seal of approval by adding in her Disney Princesses to help fight crime because of course why wouldn’t you?! It is really easy to tidy away which is obviously my job and to carry around so I think this is going to remain a firm favourite with us! 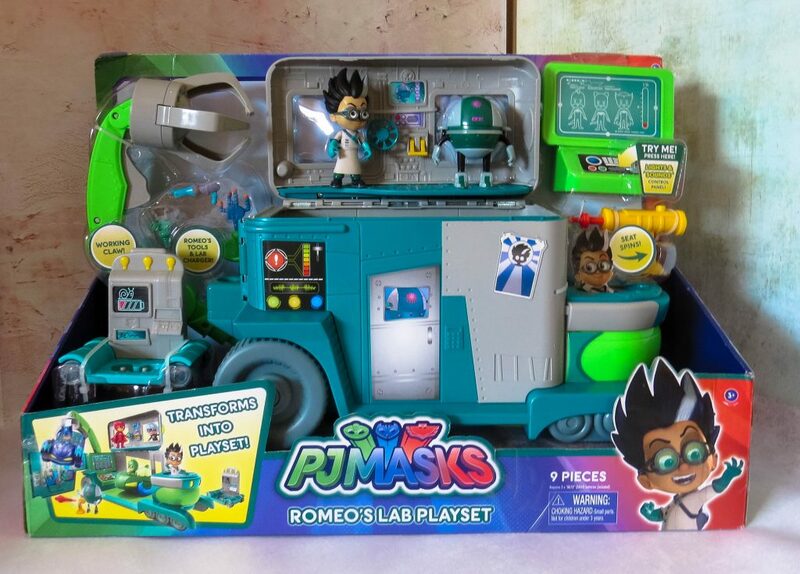 The Romeo’s Lab Playset has an RRP of £49.99 and is currently available in Argos. 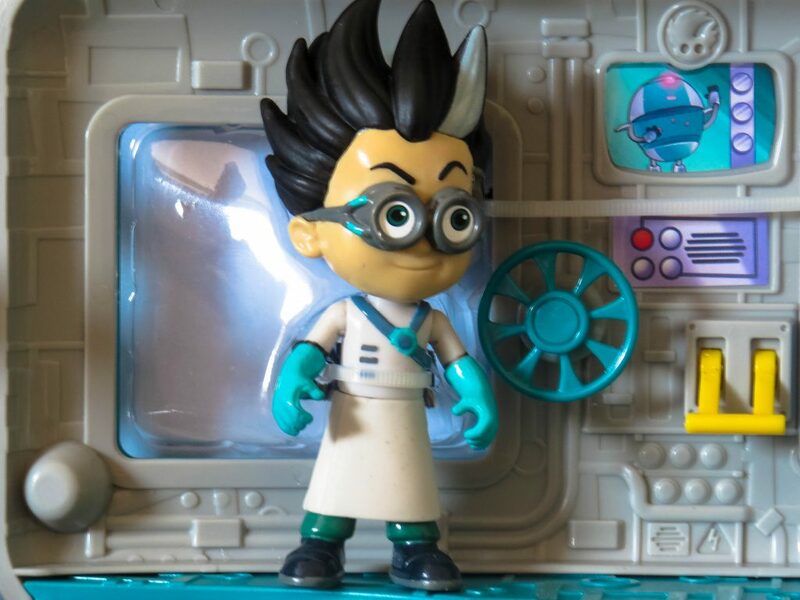 WATCH THIS VIDEO FOR YOUR CHANCE TO WIN A 5 PACK OF PJ MASKS FIGURINES! Owlette is my favourite and my precious little granddaughters too.She also uses Iggle Piggle etc as the baddies ? My two are all grown up now (ish) so I have not come across this character but it looks great fun, oh to turn the clocks back! My niece loves Owlette and even has her costume. Owelette is our favourite in this house.